Good quality, appealing, well built, and sturdy bike. Easy to assemble and rides well. Long handlebar gives a classic look. A low stand over frame gives a smooth start for the young riders. Adjustable laser printed banana seat. The seat is tall for the young riders. Requires the fourth hole to be drilled to adjust the seat to the lowest position. 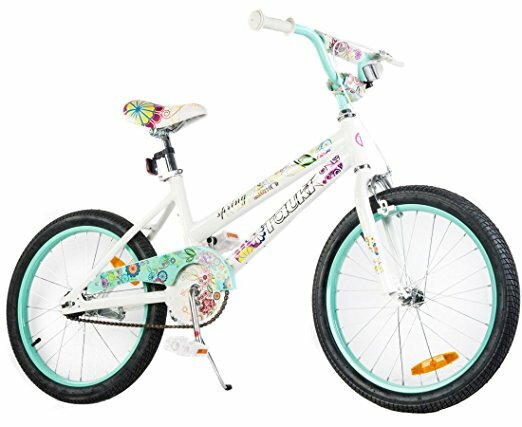 This is the summary of consumer reviews for Schwinn Girl's Mist Polo Bike, 20-Inch, Mint. The BoolPool rating for this product is Good, with 4.00 stars, and the price range is $126.82-$141.02. 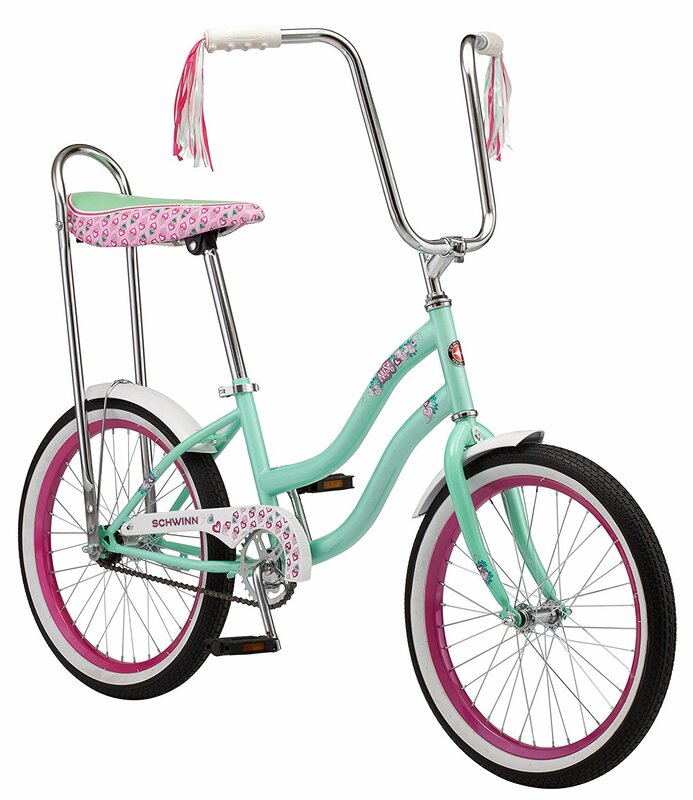 If you are looking for a classic bike, then Schwinn Girl's Mist Polo Bike is the perfect bike. The long handlebars give a classic look to the bike. 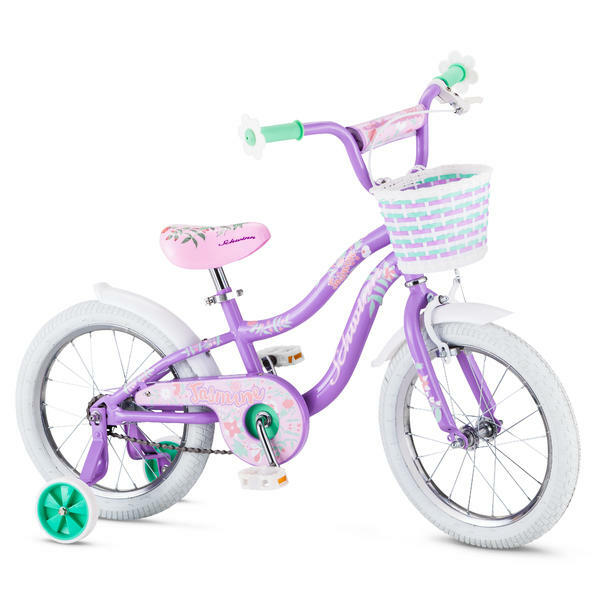 Other feature includes adjustable laser printed banana seat, rear foot brake for stopping power, a low standover frame for a smooth start for the young riders, and the colored streamers for the style. 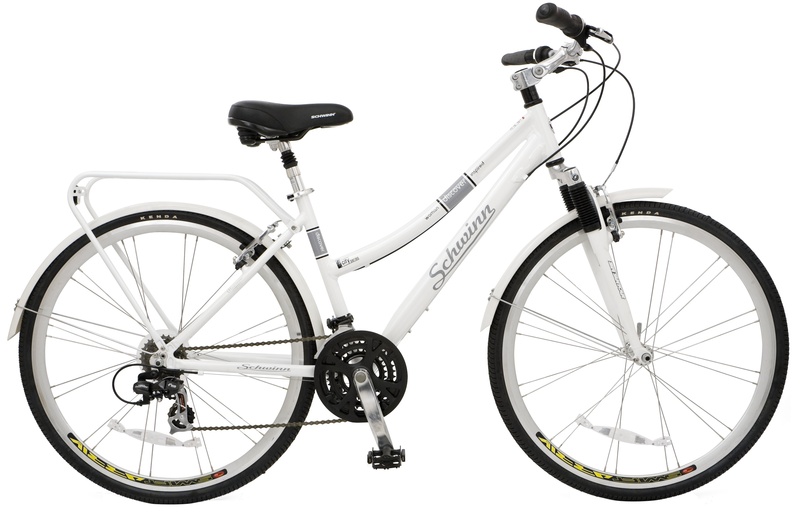 Users love the classic look of the Schwinn Girl's Mist Polo Bike. 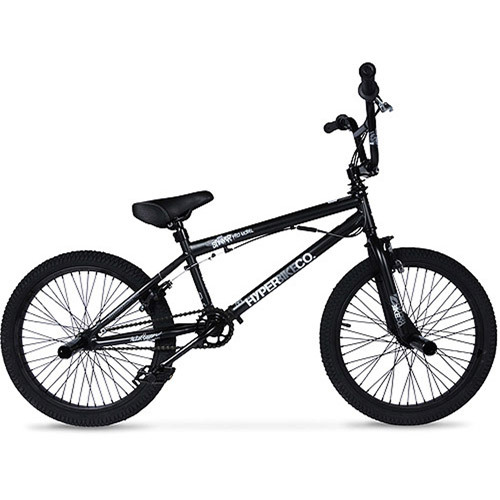 The bike is appealing, well-built, good quality, sturdy, and easy to assemble. 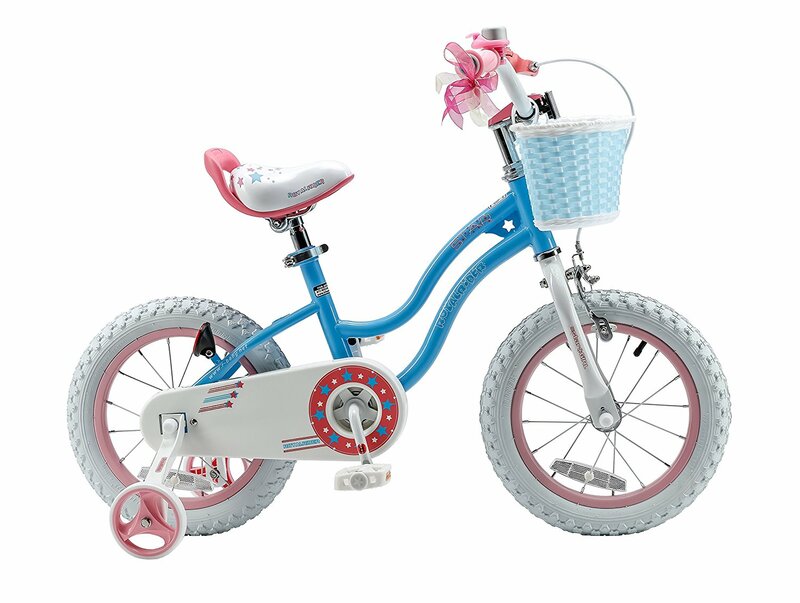 The handlebars are nice, long, and are positioned in a manner so that the legs won't interfere as the child grow. However, Schwinn Girl's Mist Polo Bike seems heavy. A few, feel that the banana seat is tall for the young riders and to keep their toes on the ground while seated, one needs to drill the fourth hole in the rear to bring the seat at the front in the lowest position. 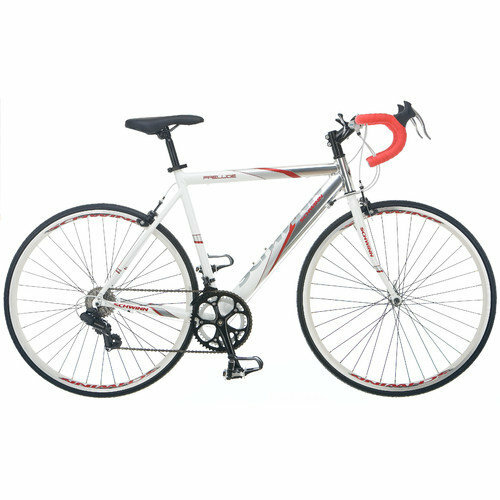 Overall, Schwinn Girl's Mist Polo Bike is a good quality classic bike. Heavy. Over geared makes it hard to peddle. Bicycle arrived with no rear saddle hardware including hand brakes mechanism, and bolt/mount for front fender. I received the bike, unfortunately, the rear fender has a dent in it. Heavy, overgeared making it too hard to peddle, dangerously weak brakes, gritty feel when spinning rear wheel. Also, the reinforcement rod that secures the fender to the bike is bent. Handlebars are nice and long.They are positioned in a manner so that the legs won't interfere as the child grow. The white handlebar covers go filthy. Very nice, handle bars a little long though. The handle bars keep coming loose!. My husband had to make a 1am run to get some white touch up paint to cover those up and the streamers were missing, so it looks a little weird with 2 big holes in the handle bars. The white handle bar covers get filthy just by touching them and the "sticker attacher man" needs to show more care as they're done poorly. The handle bars were already put together when they came, and they came put together backwards. 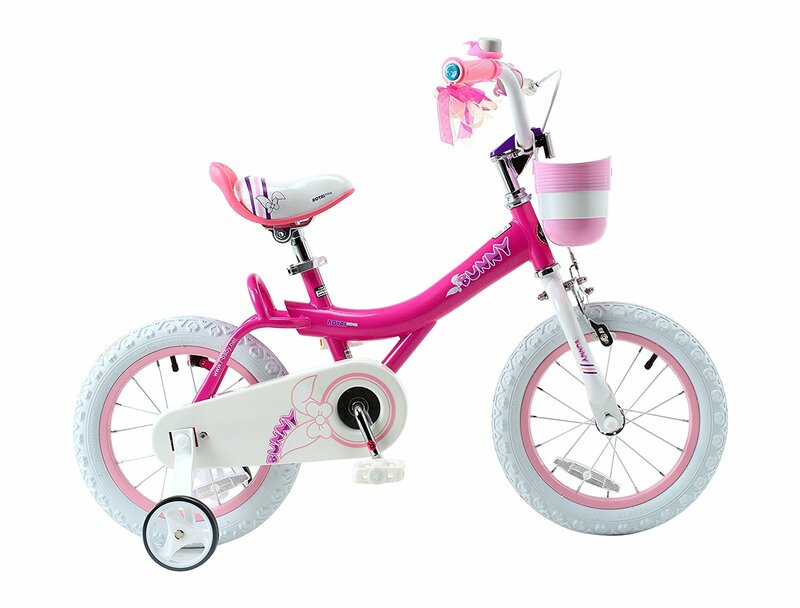 The handle bars are positioned in a manner which won't interfere with her legs as she grows so she may even be able to ride this bike in her teens!. This bike arrived in a very banged up box with little to none protection. Since it was a Christmas present and our little girl's only 'big' gift, we'd to roll with it. The bike is nice but it arrived with some damage. It's a little tall for our 6 year old but she's making it work. Nice, good quality, well made, and easy to assemble. Solid bike, easy to assemble. Easy to assemble with basic tools. I was easy to assemble. Looks just like pictured and easy to assemble. It was easy to assemble and is of good quality. Well made- took 20 minutes to assemble. So cute and easy to put together. This bike is really nice. this bike was purchased as a christmas gift and our daughter loves it. One need to drill the fourth hole in the rear to bring the banana seat at the front in the lowest position so that it is easy for the younger riders to keep their toes on the ground while seated. I lowered the banana seat at front and drilled holes in rear support to lower the back of the seat. Didn't have a hole to lower seat. Had to drill additional holes in seat's bar so she could safely ride it. Holes had to be drilled to lower the seat a tad. One exception..the seat should lower on rear bars as low as it does on front pole bar of seat. Had to drill 4th hole on rear bars of seat for my 6 year old . Otherwise its a great bike!!. The ONLY pause is like one reviewer said- the banana seat bar needs another drilled hole to make it possible for the seat to land in the lowest position for the younger riders to plant their toes on the ground while seated. Had to drill another hole. Heavy, tall seat not really for 7 years old girls. Big bike, rides well, appealing, and nice looking. Rides well (for my six year old daughter, although I can ride it too) nice looking and a great price. Reminiscent of my childhood dream ride, I purchased one for my daughter. This happend three times while my daughter was riding the bike slowly and in a controlled manner. This's bike looks appealing, but I've had difficulty getting my daughter to learn to ride it. 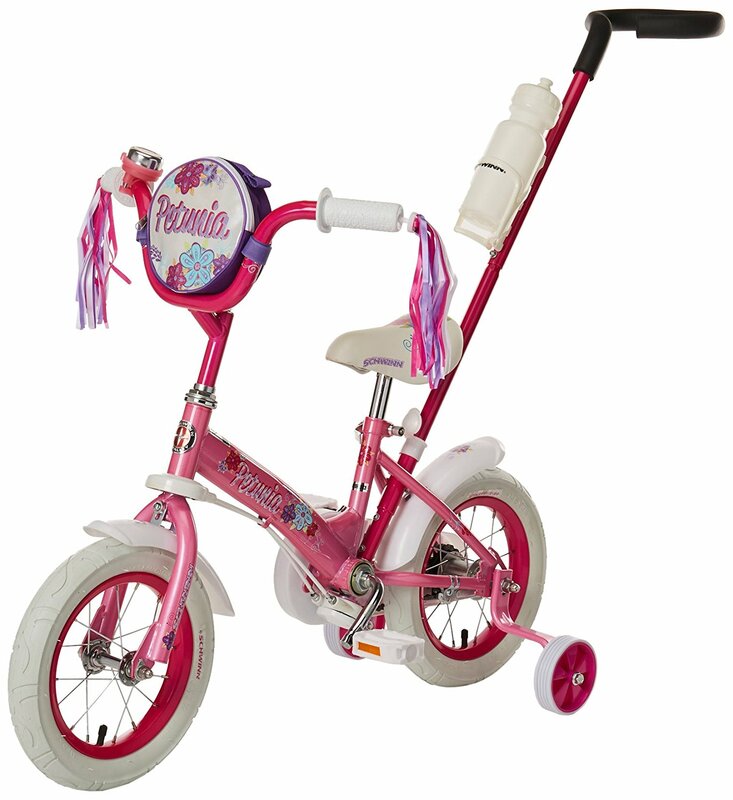 I ordered this bike for my daughter, assembled it and took her out for a ride on it yesterday. Bought this for my daughter for her sixth birthday. rides great and was very easy to assemble. I bought it for my granddaughter who just turned 6. It's a little big for her to ride safely so I'm a cool grandma that rides it with her! It's a bit big but we adjusted the seat and she can ride great!